America Independence adds large-cap product, HSBC introduces fixed-income funds, and Van Eck launches a new ETF. New product launches are on a tear in 2015. New products and changes introduced over the last week include two ETFs from Gavekal Capital; an alternative mutual fund from TCW Group; a fund from American Independence; an ETF from Global X; two funds from HSBC; an ETF from Van Eck Global; and the acquisition of Imprint Capital by Goldman Sachs Asset Management. Also, Convergex plans to launch an agency-only ETF quote-sourcing platform; First Trust moved 10 ETFs to Nasdaq; KBW and Nasdaq launched a global bank index; Touchstone announced a subadvisor addition; Vestmark acquired Advanced Objects’ proposal generation technology; and Voya Financial added an annuity. TCW Group has announced that it has partnered with Gargoyle Investment Advisor LLC to offer the TCW|Gargoyle Hedged Value Fund (TFHIX). In conjunction with the offering of this fund, TCW has formed TCW Alternative Funds, a family of alternative mutual funds. TFHIX has as its investment objective to seek long-term capital appreciation with lower volatility than a standalone stock portfolio. It aims to achieve this outcome through a combination of buying undervalued stocks and selling overpriced index call options. Global X Funds has announced the launch of the Global X SuperDividend Alternatives ETF (ALTY), which seeks to invest in potentially high-income-generating alternative investments. The fund’s holdings are publicly traded alternatives in the categories of real estate, MLPs and infrastructure companies, institutional managers and fixed income and derivative strategies. The index methodology selects among the highest dividend-yielding securities in each eligible alternative category, and the strategy seeks to reduce volatility by screening for lower-volatility components and assigning greater weights to historically less-volatile categories. American Independence Financial Services, LLC has announced the launch of the American Independence Large Cap Growth Fund (LGNIX,LGNAX, LGNCX). The fund will be subadvised by portfolio manager Louis Navellier, and will use Navellier’s processes to identify inefficiently priced large-cap growth stocks with superior fundamentals relative to the underlying market and the potential for long-term capital appreciation. In addition to identifying stocks with superior reward/risk (risk-adjusted return) characteristics, the investment process seeks to identify stocks that have superior earnings, revenue and profit margin expansion relative to the general market. HSBC Global Asset Management (USA) Inc. has announced the launch of the Global High Income Bond Fund (HBIAX, HBIIX) and the Global High Yield Bond Fund (HBYAX, HBYIX). Both aim to deliver superior returns by finding relative value opportunities in domestic and international corporate bonds with global asset allocations spanning the U.S., Europe, and emerging markets. HBIAX is for investors seeking a regular income stream. It consists of three core sleeves managed by specialist sleeve managers; Jerry Samet serves as lead fund manager. HBYAX is for investors looking for a higher yield. Mary Bowers is the portfolio manager. Van Eck Global has announced the launch of the Market Vectors Morningstar International Moat ETF (MOTI), which leverages research from Morningstar to provide exposure to companies outside the U.S. with competitive advantages and attractive valuations. MOTI seeks to replicate as closely as possible, before fees and expenses, the price and yield performance of the Morningstar Global ex-US Moat Focus Index. The index targets a group of companies in developed and emerging markets outside the U.S. that Morningstar equity analysts believe have long-term sustainable competitive advantages and are attractively priced at each quarterly rebalance. The index contains 50 stocks weighted equally each quarter. Gavekal Capital has announced the launch of the Gavekal Knowledge Leaders Developed World ETF (KLDW) and the Gavekal Knowledge Leaders Emerging Markets ETF (KLEM). Both ETFs are designed to capitalize on the knowledge Eeffect, the tendency of highly innovative companies to experience excess returns in the stock market. KLDW offers core exposure to developed world equities and seeks to match the performance of the Gavekal Knowledge Leaders Developed World Index (KNLG), an equal-weighted index that tracks highly innovative companies in the developed world. KLEM offers core exposure to diversified emerging markets equities and seeks to match the performance of the Gavekal Knowledge Leaders Emerging Markets Index (KNLGE), an equal-weighted index that tracks highly innovative companies in the emerging markets. Goldman Sachs Asset Management has announced an agreement to acquire impact investing firm Imprint Capital. As part of the transaction, the Imprint team will join GSAM and continue to be based in San Francisco and maintain a presence in New York. Subject to certain conditions, the transaction is expected to close in the next few months. Convergex has announced that it plans to launch an agency-only ETF quote-sourcing platform, to be called ETF Direct, in August. Functionality for the platform will include the ability to request competitive quotes simultaneously from multiple liquidity providers, including niche markets and sectors; anonymity for clients and market makers; access to an aggregated market; and a comprehensive audit trail. First Trust has moved its 10 AlphaDEX ETFs from the NYSE to Nasdaq. Each fund retains the same ticker symbol it had before the move. Keefe Bruyette & Woods (KBW)and Nasdaq have announced the launch of the KBW Nasdaq Global Bank Index (GBKX), which is designed to track the performance of those banks designated as global systemically important (G-SIBs) by the Financial Stability Board and Basel Committee on Banking Supervision. The 28 banks included in the KBW Nasdaq Global Bank Index represent 45% of the global investable banking universe and account for approximately $3 trillion in total market cap. While a U.S.-dollar-denominated index, it provides exposure to six different currencies: the U.S dollar, the euro, the British pound, the Japanese yen, the Swiss franc and the Swedish krona. Touchstone Investments has announced that Rockefeller & Co. has been named subadvisor to the Touchstone Sustainability and Impact Equity Fund. 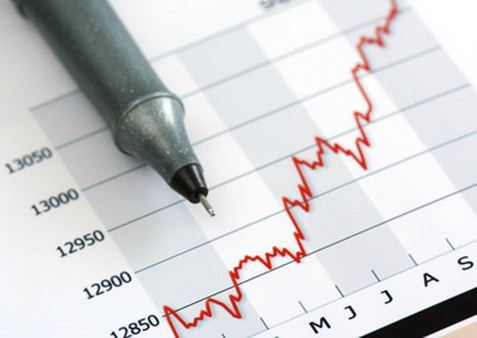 While the fund’s investment process begins with the selection of a core global equity portfolio through an assessment of industry and company prospects and the development of investment themes, in an effort to identify securities selling at compelling discounts to their fair value, as subadvisor, Rockefeller & Co. selects investments for the fund based on an evaluation not only of a company’s financial condition, but also its ESG practices. Vestmark has announced that it has acquired proposal generation and sales analytics technology from Chicago-based Advanced Objects. The technology will be integrated with VestmarkONE, Vestmark’s unified wealth management portfolio. As part of the transaction, Jeff Peterson and Arthur Potasiak, cofounders and primary principals of Advanced Objects, are joining Vestmark to oversee the integration with VestmarkONE. Voya Financial has announced the addition of Voya Preferred Advantage, a flexible premium deferred variable annuity. The annuity offers customers a product with tax-deferred growth potential and the ability to choose from a number of investment options. The product is issued by Voya Insurance and Annuity Company, a member of the Voya Financial family of companies. Read the July 12 Portfolio Products Roundup at ThinkAdvisor.